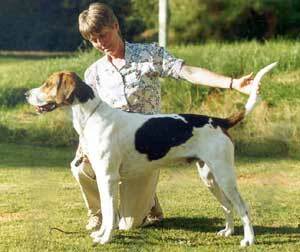 The English Foxhound is medium sized with a very muscular build. The head is wide with low ears hanging next to the cheeks, along with a well-defined brow. The muzzle is long with open nostrils and the eyes provide an expression of friendliness and love. The shoulders, back, and hindquarters are extremely strong with lots of muscle. The legs are very straight with round feet resembling cat paws. The tail is carried gaily and has a slight brush. The coat is short and tough but also glossy and is always hound colors, which are tan, white, and black; sometimes the coat is a combination of all three of these colors. Yellow is also in the coat color occasionally. 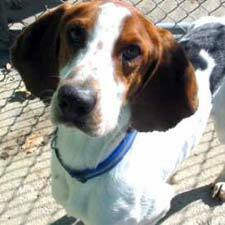 Height (Male) 24 - 27"
Common Misspellings English Fox Hound, English Foxhownd, Englesh Foxhound, or English Fockshound. Long bred as a pack hunter, the dog is extremely friendly toward other dogs, and is also good with horses, other pets, strangers and children. 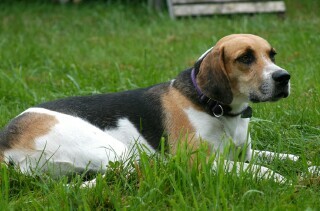 This openness to all makes the English Foxhound extremely popular in the park, but it also makes it a lousy guard dog. Like many hounds, the English Foxhound is independent and very much guided by instinct; this can make training difficult at times. An authoritative tone and consistent discipline should win through, however. This dog likes to bay, and may be vocal at night. A long walk or jog everyday is recommended, though be careful when exercising your Foxhound off leash. This dog will follow a scent to the ends of the earth, and calling him off that scent can be difficult. 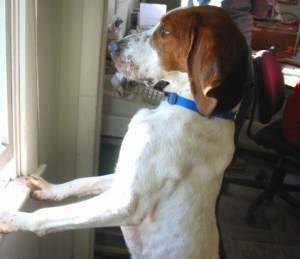 The English Foxhound is physically and mentally capable of living outdoors, provided it has a dog or other pet to keep it company. Coat care requires little more than an occasional brushing to remove dead hair. 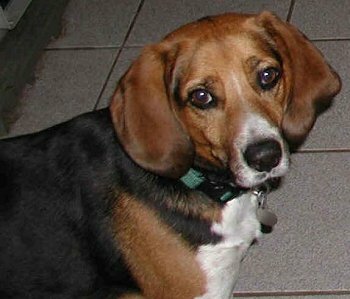 The English Foxhound is extraordinarily healthy and largely free of hereditary illness; very rarely, one may see canine hip dysplasia or renal disease in the breed. The exact origins of the dog are unknown, but historical accounts of fox hunts dating to the 11th century describe dogs similar to the English Foxhound. By 1750, the sport of foxhunting on horseback began to develop in earnest, and for this a dog with a keen sense of smell and the stamina to keep up with horses for hours was needed. 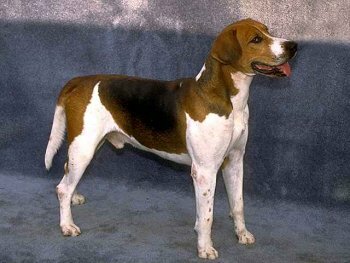 The Master of Foxhounds was responsible for perfecting and maintaining the English Foxhound, ensuring that the dog was not only physically robust but also aesthetically pleasing. 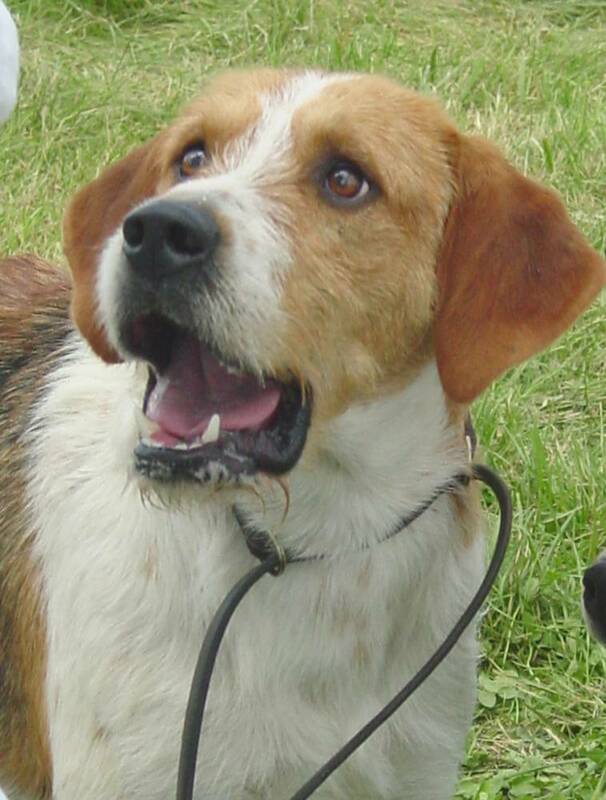 By the end of the 19th century about 150 foxhound packs, each with around 50 dogs, were registered in England. 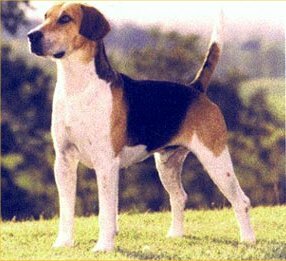 The English Foxhound was introduced to North America during the 18th century, where it was developed into the lighter and longer-legged American Foxhound. 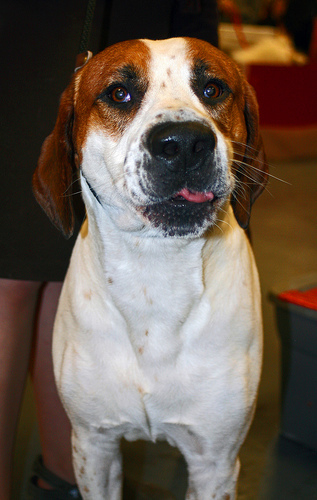 Since that time, the English Foxhound has become exceedingly rare in the United States, and has never matched the popularity of the American Foxhound. 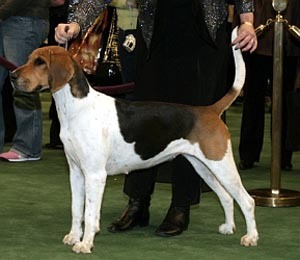 The English Foxhound was recognized by the American Kennel Club in 1909.